If you’ve taken part in Friend Makin’ Mondays before then you are familiar with the rules. If you’re new, please take a moment to answer this week’s question on your own blog then add your link in the comments section here so we can all see your FMM questions and answers. Please invite your blog readers to add their links here too so everyone has to opportunity to be seen. 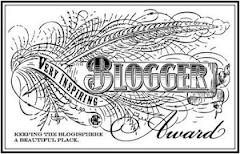 The idea is to connect with other awesome bloggers so take a moment to read and comment on a couple of other posts. 1. What is your favourite fruit? 3. If you could only drink one fruit juice for the rest of your life, what flavour would it be? 4. Tomatoes – fruit or vegetable? Tomatoes are a fruit because the seeds are on the inside. 5. How many portions of fruit do you eat a day? 6. if you were making a smoothie what fruits would you add? Strawberries and bananas, why mess with perfection? 7. Are you allergic to any fruits? 8. Do you have a favourite fruit recipe? Feel free to share the recipe with us. Of my own? Banana bread I guess. 9. Do you have any fruits that are local to your area? Ontario grows Apples and pears and peaches and such I believe, but I don’t know of any local orchards. 10. What is your favourite fruit pie? I would say Strawberry / Rhubarb pie, but technically strawberries are not a fruit, they are a berry, so Apple. Now it’s your turn to answer the questions. Don’t forget to come back here and leave a link to your post in the comments, so we can check out everyone’s answers. Oh yeah, I forgot Strawberry Rhubarb is good. I haven't had that in ages! I love making banana bread, I have some bananas that are a bit too far gone to eat on their own, so think i may need to make banana bread, problem is I love eating it warm! Stopping by from FMM. Banana bread is amazing, you seriously can;t go wrong with that. I curious what it is about Asian pears that you don't like is it the texture? yeah the texture and the taste a little bit of Asian Pears is just wrong!